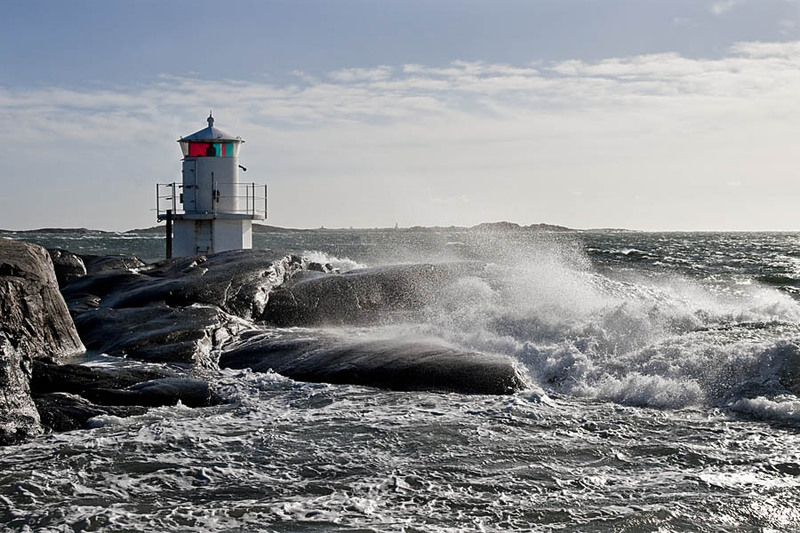 A lighthouse on Ockero island, Sweden on a stormy day. Yes one more nice lighthouse. It was a difficult day for taking pictures. Heavy winds and crashing waves threw bags of salty water in the air. So after 30 seconds on that place the front UV filter of my lens was full of salt. I cleaned the filter as I could but 30 seconds later once again, it was not transparent anymore making camera autofocus slow and eventually out of work. So I removed the UV filter and shoot frantically on burst mode to save some shots. And back home before looking at any pics, it was a long time to clean camera from every grain of salt with wet tissues and lens cleaner fluid.